The late King of Comedy, Dolphy's wake will be open to the public this coming July 12, 2012 from 8am up to 3pm at the Heritage Memorial Park, It was announced on the ABS-CBN morning show "Umagang Kay Ganda (UKG)." And according to some reliable sources, "today, the wake will be exclusively for Dolphy's family and closest friends from 8 a.m. Wednesday up to 3 a.m. Thursday at Heritage Park in Taguig." Dolphy is now wearing white suit and white leather shoes and he is now using the coffin he bought 10-years ago. 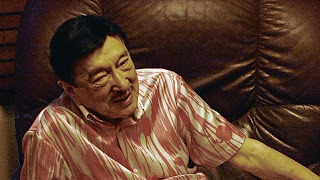 Heritage Park staff told to ABS-CBN News that Dolphy's tomb is now ready with 16 chapels prepared for his family. Meanwhile, Dolphy's remains brought to ABS-CBN's Dolphy theater this afternoon, July 11, 2012. Comments or suggestions about "Dolphy's Wake Schedule and Venue" is important to us, you may share it by using the comment box below.